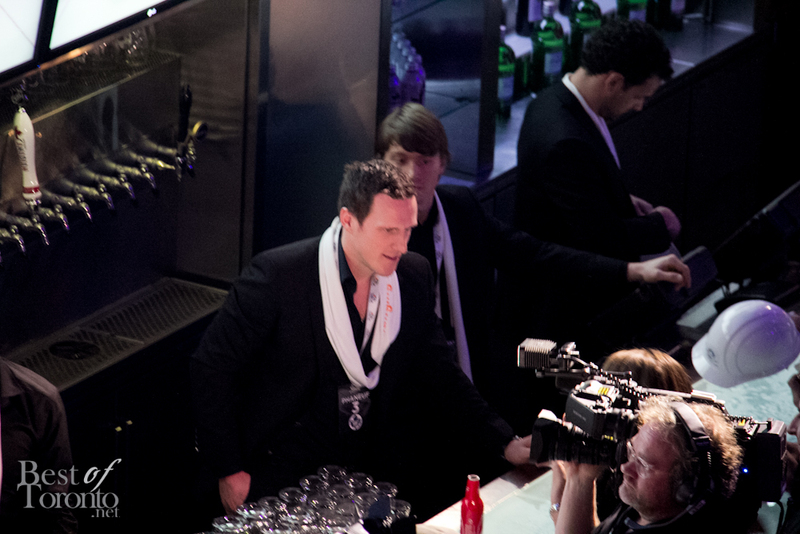 What an epic night for Toronto sports fans at the Players’ Gala where the Toronto Maple Leafs, the Toronto Raptors and the Toronto FC came together and gave fans the opportunity to mingle with their favourite athletes in support MLSE Team Up Foundation. The only team missing that evening was the Toronto Marlies, but they played a video on the Real Sports giant screen expressing their regret that they couldn’t make it. 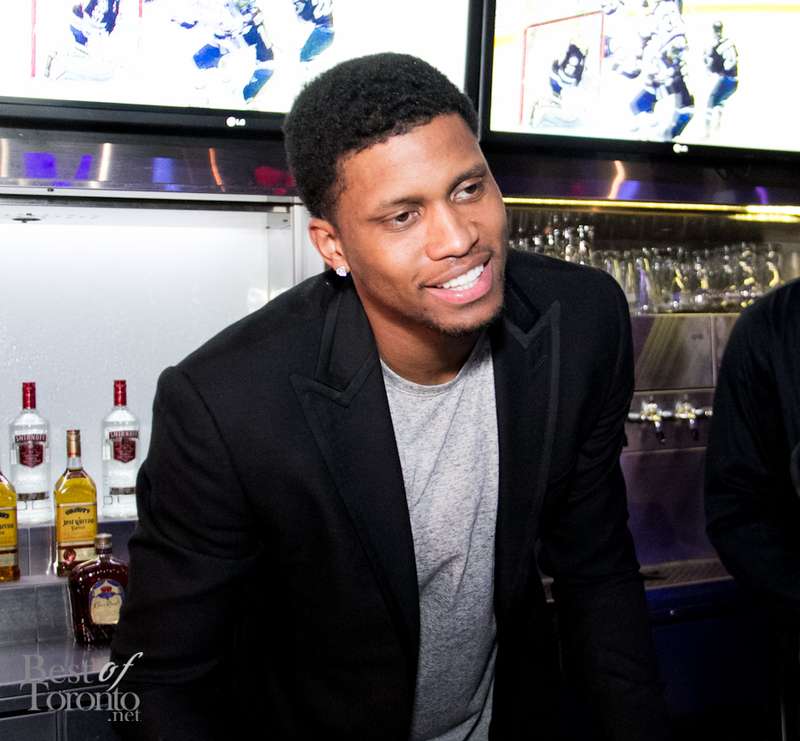 But besides that, wow, what an incredible turnout of Toronto athletes including the relatively new Toronto Raptor, Rudy Gay. Guests who were lucky enough to get tickets for this sold-out Players Gala were treated to a variety of fine food stations and drinks on both floors of the Real Sports Bar there was also a silent auction and hard hats available for purchase that were being signed by the players in attendance. 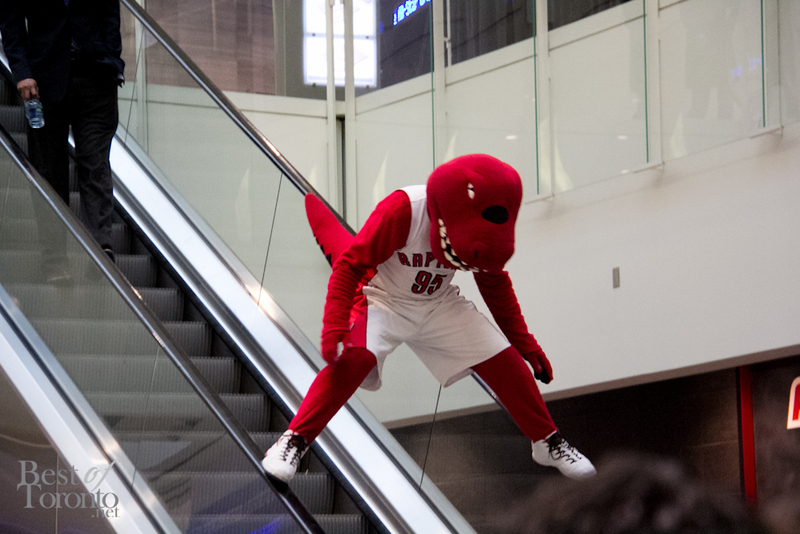 The Raptor with some impromptu escalator stunts! So pumped for tonight's @TeamUpFdn's #PlayersGala @RealSports Always a great time when players, fans, & the entire #MLSE fam gets together! 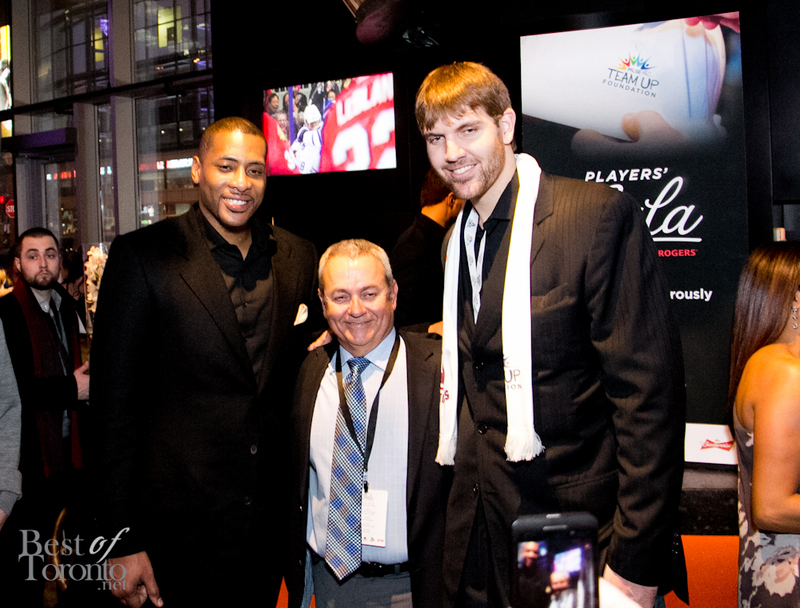 Ton of fun tonight at the Gala @realsports @teamupfdn Thanks to all for coming out and supporting a great cause! 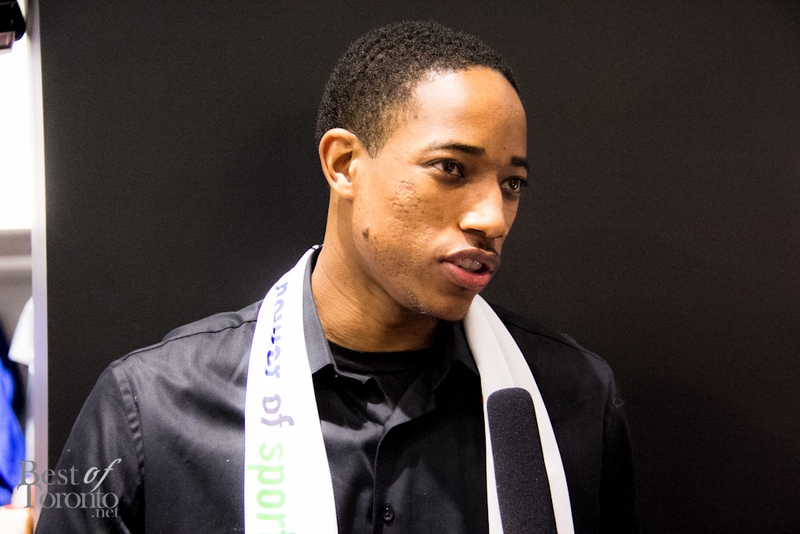 Also, be sure to check out our coverage of the recent Raptors Red Party Remix, also in support of the MLSE Team Up Foundation. The MLSE Team Up Foundation believes all kids should have access to sport and the opportunity to develop lasting dreams on the playing field. With the support of all four MLSE teams – the Toronto Maple Leafs, Toronto Raptors, Toronto FC and Toronto Marlies – the Foundation funds the refurbishment of local athletic facilities, and funds charities that support kids through sports and recreational programs. 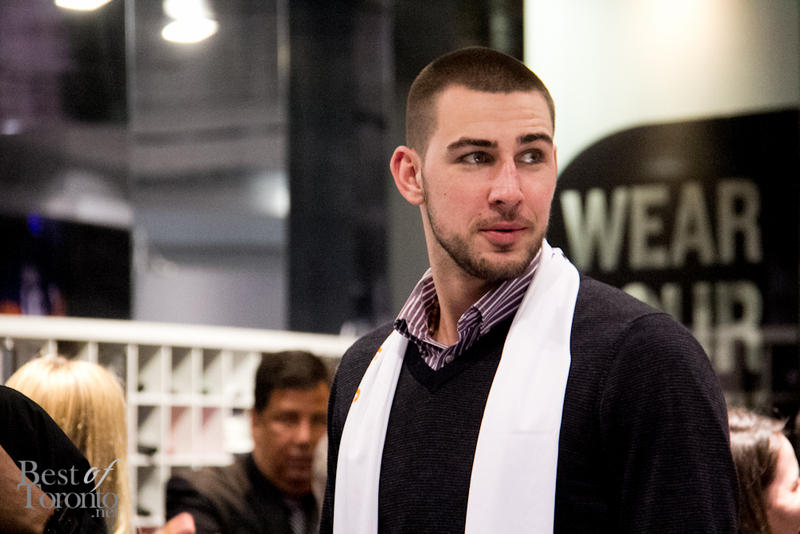 Since launching in December 2009, the MLSE Team Up Foundation has invested more than $6.5 million into our community. Last season, we impacted the lives of more than 110,000 kids.